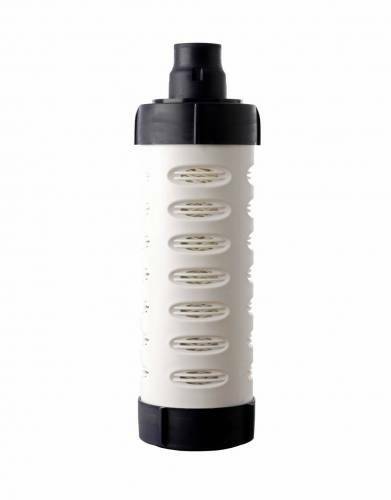 Greatly needed for the avid traveler, this 4000UF cartridge for the LIFESAVER bottle will filter 4,000 litres of clean drinking water and can be fitted into any bottle shell. A must-have on Safari. The LIFESAVER bottle is a microbiological water filter that uses ultra filtration technology to filter out viruses, bacteria, cysts and parasites from contaminated water sources. Icon Lifesaver technology filters out bacteria to a minimum of Log 6 (99.9999%), Viruses to a minimum of Log 4 (99.99%) and Cysts to a minimum of Log 3 (99.9%) as specified by NSF Protocol 231, based on recommendations of the U.S. Environmental Protection Agency (EPA).